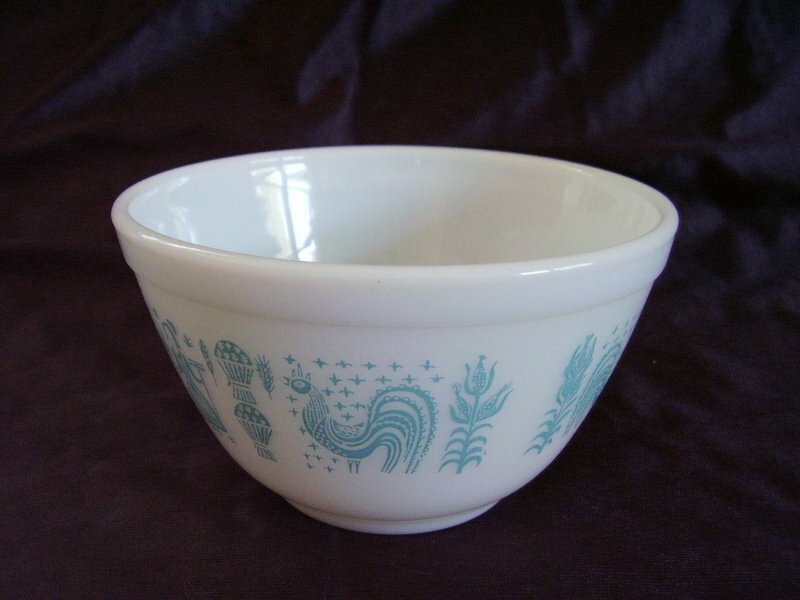 Vintage Pyrex Ovenware Butterprint mixing bowl, #401. Country Amish Farming scene featuring farmer and wife holding a bushel of crops. Surrounding them are crops in the field, wheat sheaves tied together, roosters and corn plants. Manufacturing began in 1957. Bowl is the #401, white with turquoise blue decals, holds 1 1/2 pints. 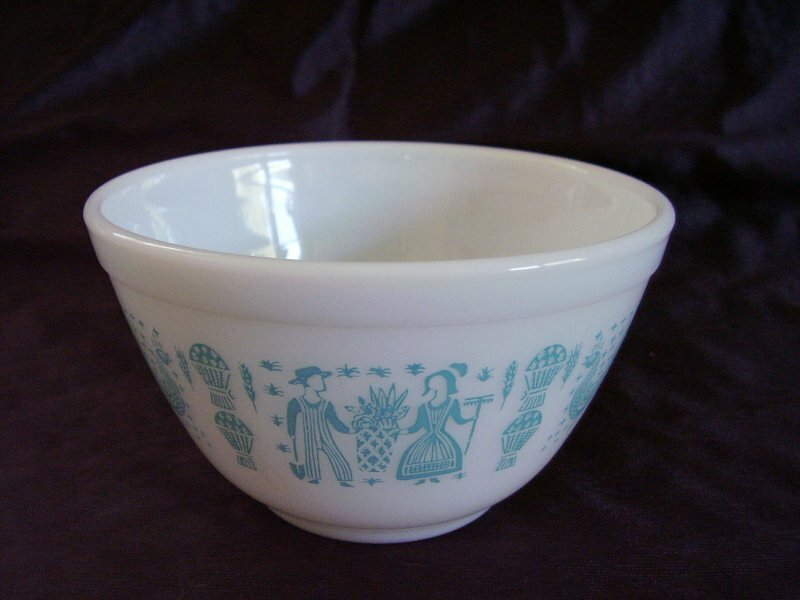 Vintage Pyrex Ovenware Butterprint mixing bowl, #401. Country Amish Farming scene featuring farmer and wife holding a bushel of crops. Surrounding them are crops in the field, wheat sheaves tied together, roosters and corn plants. 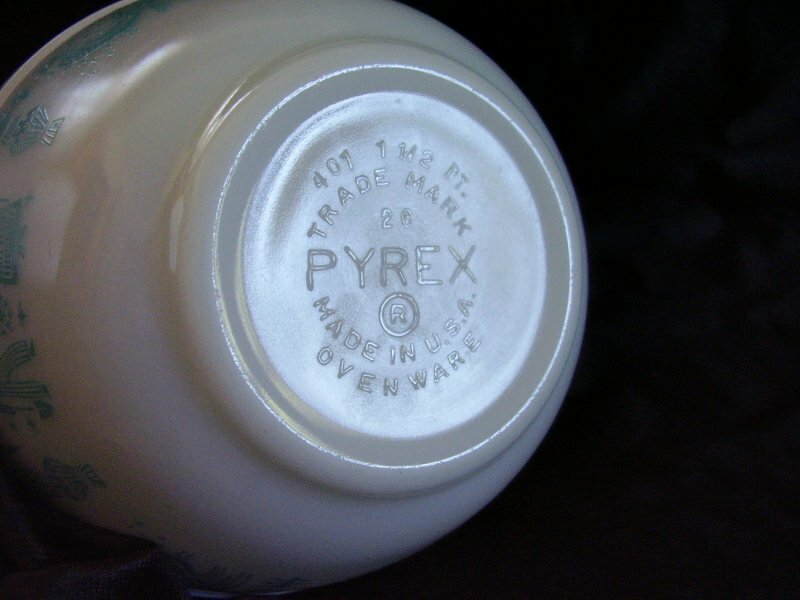 Manufacturing began in 1957. Bowl is the #401, white with turquoise blue decals, holds 1 1/2 pints. Two very small marks on exterior. Very minor utensil marks on the interior. Decals appear bright and intact. Purchased at an estate sale. Bowl measures 5 3/4 inches in diameter and is 3 1/4 inches tall. Made in the USA.